The 2016 Index of Economic Freedom has placed New Zealand, Australia, Canada and the United Kingdom in the top 10 list of the most economically free countries in the world. The Economic Freedom Index, published by Heritage.org, analyses economic freedoms and macroeconomic data for 186 countries around the world. Freedoms are measured through analysis of open markets, regulatory efficiency, limited governments and the rule of law, and from this, conclusions regarding property rights, entrepreneurship, trade, fiscal freedom, investment freedom and monetary spending (among many others) are made. The most economically free country within the CANZUK area, under current rankings, is New Zealand (3rd). Australia follows closely behind at 5th, Canada at 6th and the United Kingdom at 10th. “New Zealand’s modern and competitive economy benefits from a strong commitment to open-market policies that facilitate vibrant flows of trade and investment. Transparent and efficient regulations are applied evenly in most cases, encouraging dynamic entrepreneurial activity in the private sector. Financial markets, although relatively small, provide adequate access to financial resources”. “Australia, a vibrant free-market democracy, has recorded impressive economic progress without undergoing a single recession for almost 25 years. In addition to its abundant natural resources, the economy has benefited from lasting entrepreneurial development facilitated by an effective system of government, a well-functioning legal system, and an independent bureaucracy”. “Canada’s economic fundamentals remain strong, well supported by solid protection of property rights and an independent judiciary that enforces the rule of law effectively. The country’s commitment to open-market policies that facilitate global trade and investment flows has been strong, and the economy has demonstrated admirable resilience in the face of recent years’ international and domestic challenges”. 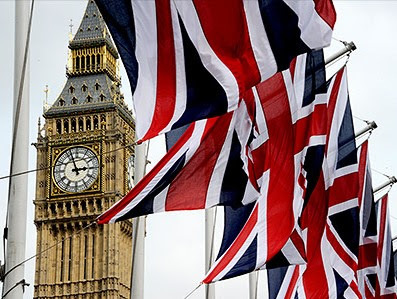 “Economic freedom has been on an upward path in the United Kingdom over the past five years. Defying the eurozone crisis and regional uncertainty, the economy has demonstrated relatively high resilience. Disciplined fiscal adjustments have helped to restore economic dynamism, steadily reducing the budget deficit. The corporate tax has been cut from 28 percent to 20 percent”. With respect to our free movement proposals, the rankings demonstrate how economically compatible the UK, Canada, Australia and New Zealand (the CANZUK area) would be if a free movement of labour initiative was introduced between these four countries (similar to the European Union). In fact, the CANZUK area would be one of the most economically liberal in the world, facilitating greater trade, business initiatives, investment, labour utilization and prosperity. Of course, these scores do not determine how well an economy is performing, but how easy it is for each economy to achieve prosperity, growth and quality of life by encouraging investment, incentives and trade. However, these scores do indicate that freedom of movement within the CANZUK area would have no difficulties in terms of economic limitations, as all 4 members are some of the most economically liberal in the world, and hence, a labour union would not only elevate CANZUK Index scores, but allow the CANZUK area to become the most economically free union of nations in the world. For more information regarding the 2016 Index of Economic Freedom, please visit Heritage.org.